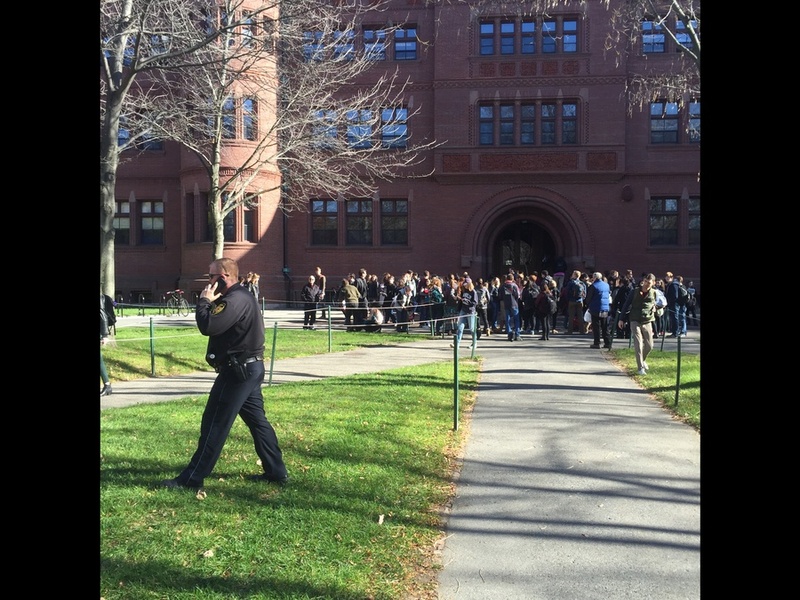 UPDATED: November 16, 2015, at 11:01 p.m.
A bomb threat shook Harvard’s campus on Monday, prompting the evacuation of four buildings in and around Harvard Yard before a five-hour police search proved the threat unfounded. Students stream out of Harvard Yard as police respond to an unconfirmed bomb threat on Monday afternoon by evacuating several buildings. 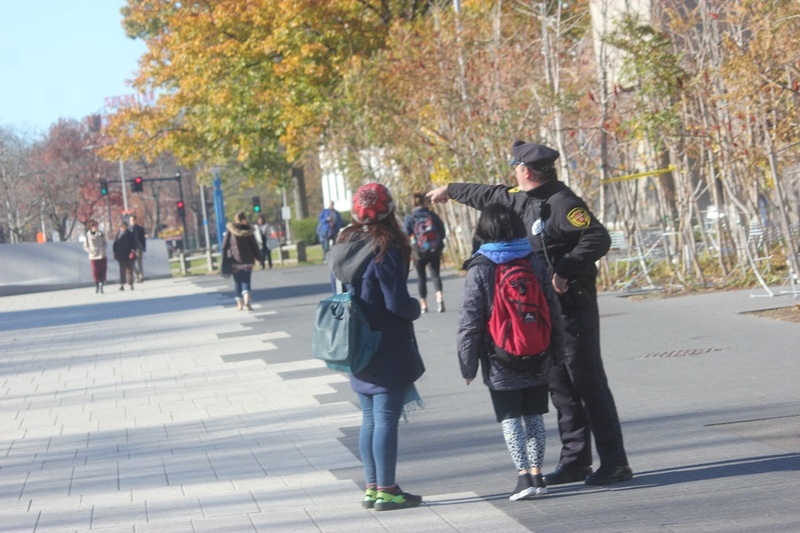 With police restricting access to Harvard Yard, locking gates in some places and rolling out caution tape around the Science Center Plaza, officers searched the four locations—three academic buildings and one freshman dorm—on Monday afternoon. 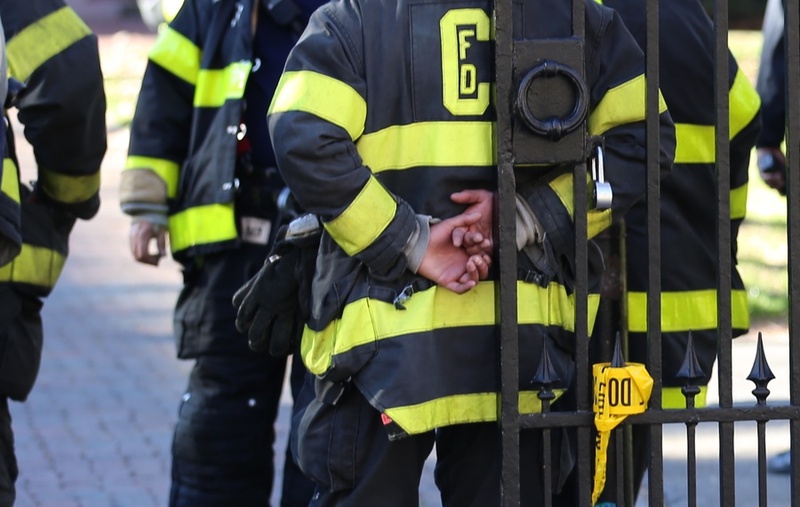 Officers concluded around 2:30 p.m. that Emerson and Sever Halls were safe, and all four buildings had reopened five hours after the investigation began. 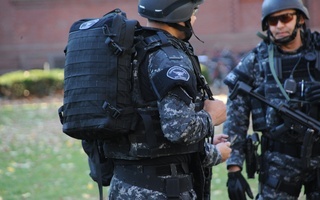 According to Harvard University Police Department spokesperson Steven G. Catalano, officers are conducting an “active and ongoing investigation” to identify the origin of the threat, which police received via email shortly before the evacuation. Catalano declined to comment further. For juniors and seniors, the scene and many of the details of Monday were familiar. 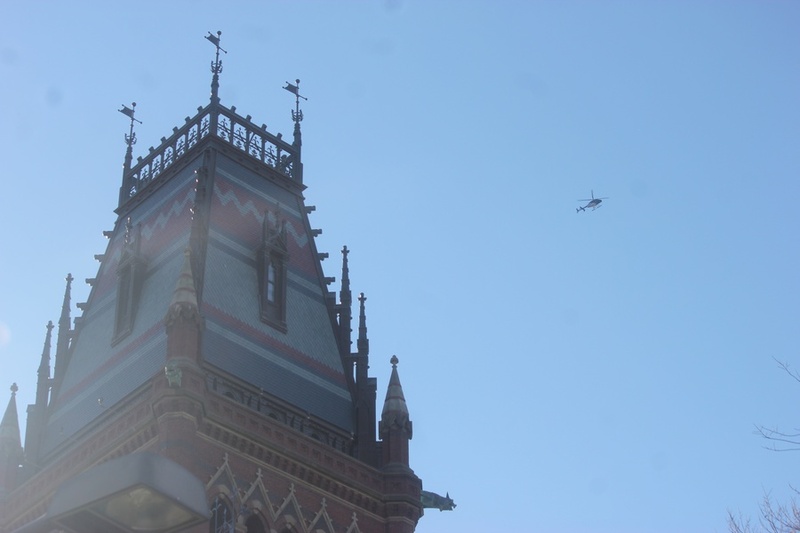 About two years ago, in the midst of fall semester finals in December 2013, students evacuated those four same buildings after several Harvard affiliates received a bomb threat, also via email, which officials determined was unfounded after a six-hour scare. The student who admitted to sending that threat—Eldo Kim, formerly a member of the College’s Class of 2016—was later charged and entered a pretrial diversion program to avoid jail time. 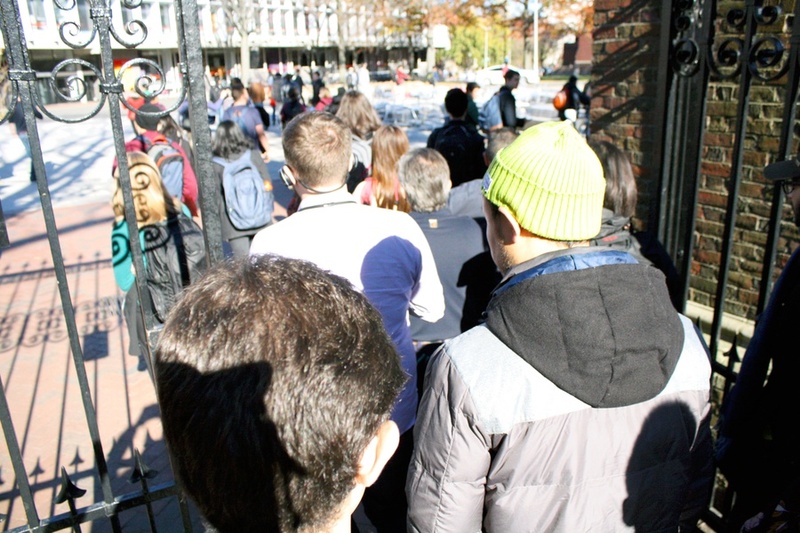 Students were first notified of Monday’s bomb threat by Harvard Alert texts and emails around 12:30 p.m. on Monday, and the Yard was a swarm of activity shortly after. Cambridge Police had sent officers, detectives, and bomb squad specialists to assist with the investigation, according to spokesperson Jeremy Warnick. Federal law enforcement authorities were also on the scene, including representatives from the U.S. Department of Homeland Security. 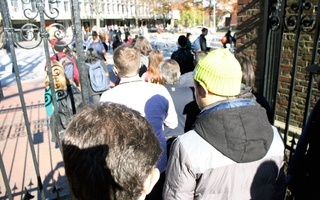 In the wake of the scare, a number of classes across the Faculty of Arts and Sciences were interrupted or cancelled for the day, including Economics 10—Harvard’s second-largest course—which paused mid-lecture for the evacuation. 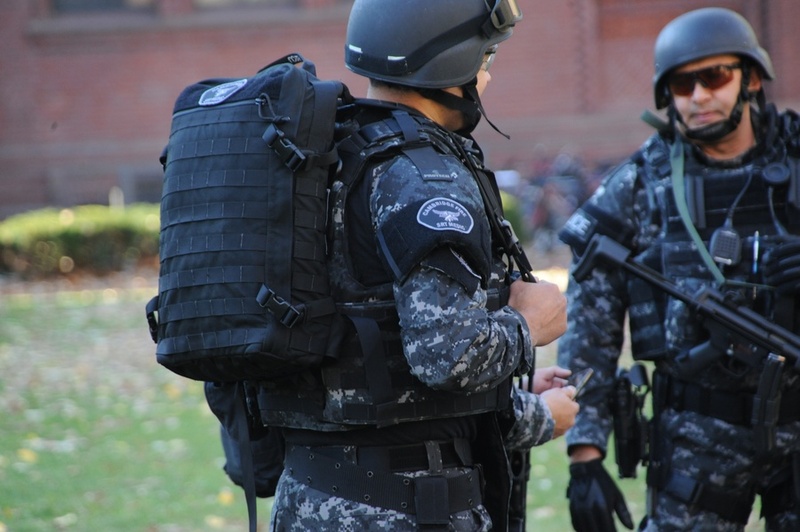 Faculty members and staff whose offices were in buildings being searched were advised that they “may leave work for the day or find an alternative place on campus to work,” according to an email from FAS Dean of Administration and Finance Leslie A. Kirwan ’79. 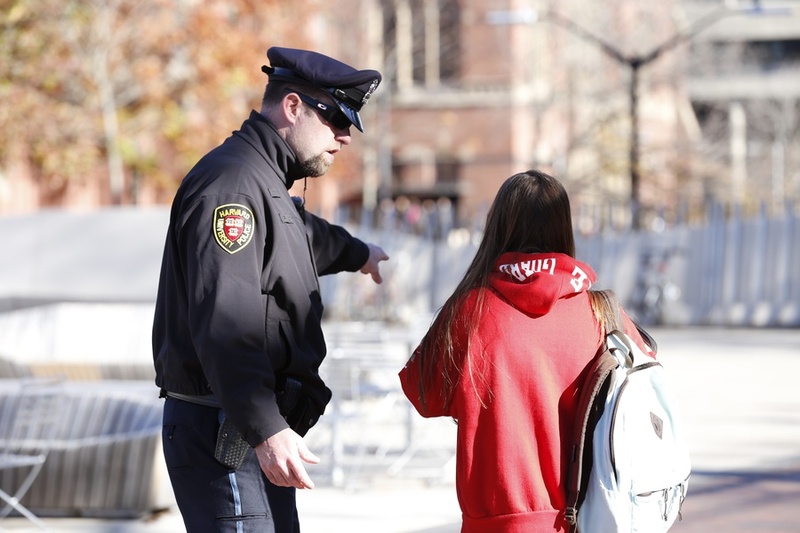 “The most important thing is our students’ safety and wellbeing,” he said while walking from Annenberg to Lamont Library, where he also made an appearance. 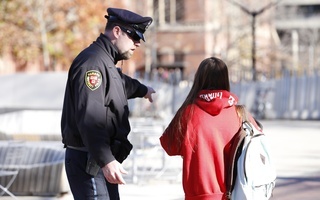 In notifying Harvard students, faculty, and staff about the threat throughout the day, administrators reiterated the importance of safety and vigilance. The College’s dean of student life, Stephen Lassonde, called the threat “troubling” in an email and reminded students of Harvard’s emergency mental health services. Lapp emphasized the gravity of the threat in light of recent acts of terror around the world. Several other colleges and schools around Massachusetts also received unconfirmed bomb threats on Sunday and Monday morning. There were no changes to the MBTA’s service. —Staff writers Meg P. Bernhard, Theodore R. Delwiche, Andrew M. Duehren, Ivan B.K. Levingston, and Kamara A. Swaby contributed to the reporting of this story.